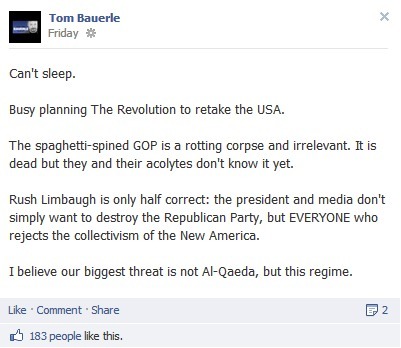 On January 24th, during the 11am hour, Entercom’s WBEN talk show host Tom Bauerle and his guest, Assemblyman David DiPietro (R-147), discussed what they consider to be constitutional jurisprudence, the supposed coming confiscation of all guns, how Obama has destroyed America, and the fact that armed citizens must be ready and willing to assault and murder law enforcement when they come to take your guns. 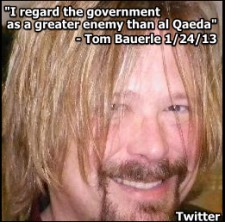 All of this semi-informed nonsense culminated with Tom Bauerle exclaiming, “I regard the [US] government as a greater enemy than al Qaeda.” Because? Because guns.